on my website. I am happy to introduce you to my new instrumental guitar album "Indigo". After a long break from my music and some difficult life experiences, I was finally able to happily return to the sounds and moods of guitar music, which has been a strong influence and companion throughout my life. "Indigo" was my introduction to the world of instrumental guitar music. We already played the tune at the beginning of the seventies with the first "blonker" group, to later be published in 1978 on the album "Die Zeit steht still" (time stands still). Please click on www.blonker.de if you wish to learn more about this time. ...now I took the pleasure to rekindle "Indigo" in a new version and twelve other guitar pieces on a new album, this time bearing my name. I am very happy about this, listen for yourself! You will find short mp3 samples from the "Indigo" album in the list of the Meine Musik page. Here on this webpage I only offer CDs autographed by me. Otherwise you may order the album "Indigo" from Amazon Germany or download it from iTunes. New from Amazon is the AutoRip-Service, i.e. every Amazon customer who buys or pre-orders a CD or vinyl album will also receive the mp3 version without additional charge. 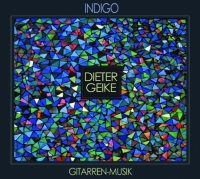 Album price "Indigo": €17.00 plus €2.00 for shipping within Germany. Delivery upon payment. 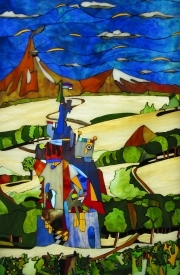 Double-album price "Zeitreise" (time travel): €19.00 plus €2.00 for shipping within Germany. You will find information about the album and its sample tracks on my website www.blonker.de.